Dive into summer with Camp Trinity, June 3-7 and June 10-14. Choose from 18 engaging and adventurous camps, spanning every interest: STEAM, theme, adventure, sport, and design. Morning, afternoon, and full-day programs utilize our welcoming 21-acre campus nestled in West Lake Hills, close to downtown Austin. Optional early bird and extended afternoons with Sportball, provide additional summer fun coverage for active campers (and busy parents). Full-day campers stay on campus during the midday break. Tuition and fees are not pro-rated for late enrollment or for missed camp days. Full payment is due at the time of registration. Activities have minimum and maximum camper count requirements. Register early to be sure you reserve a spot! Come circle ‘round the kindergarten “camp fire” and join the summertime fun! Make new friends while painting with marshmallows, scavenger hunting, making s’more trail mix, stretching in camping themed yoga, and through daily adventures with our DIY binoculars. Let’s go, girls! Our global journey begins! Travel ignites curiosity, presents new perspectives, and fosters connections. We’ll emphasize the contributions of empowered women as we dive into various cultures through food, language, customs, architecture, sights, and history. With Legos we can build kingdoms, cities, worlds, and life size versions of ourselves! We’ll make Lego-shaped crayons and Lego characters out of playdough. We’ll compete in building competitions and watch the Lego movie in our pajamas! Get ready to wake up and go as you never have before…with lots of NEW activities this year. We’ll fuel up with crafted snacks, and go, go, go through exciting activities, which include, a talent show, scavenger hunt, adventure hikes, arts and crafts, games, and many more surprises. An action packed, fun-filled week of games and sports for kids who love to be active with group games such as, jailbreak, cannon ball run, spy-spy general, and capture the flag. We’ll also play sports such as, soccer, hockey, tennis, basketball and other favorites! Marine Scientists explore the 70% of our planet, which stretches from deep sea kelp forests to sandy coastal beaches, from coral reef colonies to rocky tide pools. 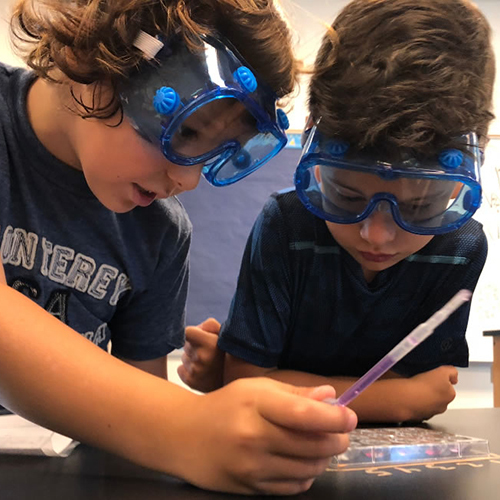 We may be miles from the coast, but campers will practically taste the salty sea as they investigate ocean habitats, animal adaptations and survival strategies, and symbiotic relationships. Unveil the wonders of ocean life through experiments, games, model making and art. During this fun filled week, campers will throw on their chef’s hats and jump into their favorite books to create yummy treats based on classic children’s literature. In between cooking and reading, campers will explore these tales through art, music and other fun adventures. Escape the Texas heat and have a blast with friends! Fresh, wet & wild, water games await: water dodgeball, water kickball, the ice cube melt, water balloons relay race, and many more competitions and challenges involving water. We know how to keep our cool! If you love imaginary creatures and mythical monsters, join Mrs. Renwick for Unicorns, Dragons, and Chupacabras. We’ll draw, sculpt, collage and paint a variety of invented animals. Combine a pony with an alligator, design a dragon which breathes out cotton candy, or fabricate a dragon’s eye pendant. Calling all Science Sleuths! A series of peculiar and mystifying scenes have been discovered! Our CSI team must conduct an investigation through forensic observation and analysis. Whether we are on the scene, or in the lab, forensic tools and techniques such as chromatography, casting, and “lifting”, will help us collect the evidence needed to solve the case. Put on your lab coats and thinking googles ‘cuz we’re about to get scientific…and possibly messy. Squish, fizz, pop!! From molding heat activated slime to rock candy construction, we’ll discover the “magic” of scientific transformation through combination. This + That = WOW! We celebrate a different holiday each day of the week. We’ll start with Valentine’s Day, hop on over to Easter, send a salute to the 4th of July, scare up a Halloween treat, and cozy into Christmas. We’ll dress up, make crafts, decorate sweet treats, and celebrate each holiday with gusto. An action packed, fun-filled week of games and sports for kids who love to be active with group games like jailbreak, cannon ball run, spy-spy general, and capture the flag. We’ll also play sports such as, soccer, hockey, tennis, basketball and other favorites! Follow in the footsteps of scientists such as Currie, Tesla, and Johnson. We’ll energize our minds, ideate and experiment, taking our ideas from the drawing board to the lab. Whether its rocketry or audio engineering, we’ll design, build, demolish, and re-imagine original projects. 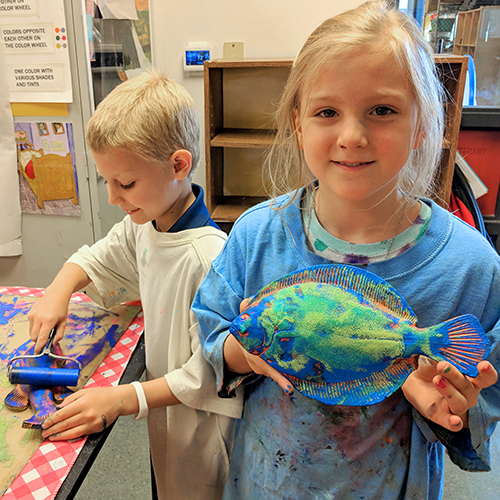 Classic books such as The Giving Tree, The Lorax, and The Tiny Seed, spring to life through imaginative artistic expression and hands-on projects. With the infinite wonders of nature as our muse, and acres of Trinity trails at the ready, we’ll dig deep, reach high, measure twice, and emote from the heart, like we’re trailblazing our own PBS mini-series. An international mystery is unfolding. World leaders have called upon our Special Agents of T.I.N.Y. (Trinity’s Investigative Niche of Youngsters). We’ll collect clues, and follow the trail of the cunning, criminal Mastermind and 5 – star travel blogger, Le Curlicue. Our dogged pursuit will take us across many continents through Roman ruins, hidden Amazonian waterfalls, heavily guarded museums, and more! Join Mrs. Renwick for her very messy, very creative, and EXTREME art camp. We’ll explore abstract expressionism, through pendulum painting, printmaking, and splatter painting. Many of our projects take place outside, like our exploding chalk bags, and catapult art. Your letter from Hogwarts has arrived! Find out which house you’ll be sorted into, take lessons in Potions, Defense Against the Dark Arts, and compete in the Wizard Dual challenge. We’ll indulge in magical treats by making Butter Beer and taste testing Bertie Bott’s Every Flavor Jelly Beans. See you at Hogwarts! Available mornings (7:30 - 9 a.m.) and afternoons (4:15 - 6 p.m.) while Camp Trinity is in session. Sportball is a multi-sport program that teaches students eight different sports in a fun and creative way. Each morning and afternoon, the students will play a new sport and mix in some fun games. The Early Bird and Extended Afternoon programs utilize Trinity’s gym, fields and pavilion. Parents have the option to register for full week of morning care, full week of aftercare, full week of both, or drop in any day to either program. All of the individual dates are listed on at www.sportball.us. Get that heart pumping with us bright and early before camp. We will practice a new sport each day! When our program ends, we’ll be sure to get your campers to their morning Camp Trinity camps. Not ready to go home, yet? When Camp Trinity ends, we begin! We will work on skill progressions of a new sport each day. If your camper prefers to wind down, we feature daily projects, such as Legos, arts & crafts, and STEM activities. All campers should bring a refillable water bottle and snack. Full-day campers will need to bring lunch each day. A general snack will be provided in the morning and afternoon. Details specific to your camp(s) will be emailed from our Camp Instructors prior to camp’s start. We employ our talented Trinity Episcopal School faculty and staff to lead our camp programs. We have experience teaching and serving our community, and are dedicated to the education of young people. Our Trinity Episcopal School alumni and students assist our Camp Instructors and engage with campers in daily camp activities. 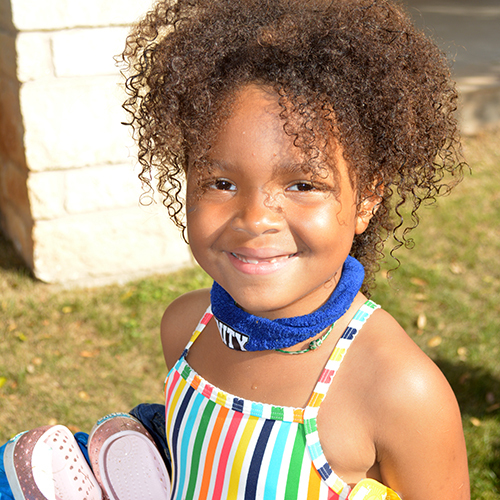 All camps located at Trinity Episcopal School in West Lake Hills, just 5 miles from downtown Austin. Please contact Rory Hearse for more information.